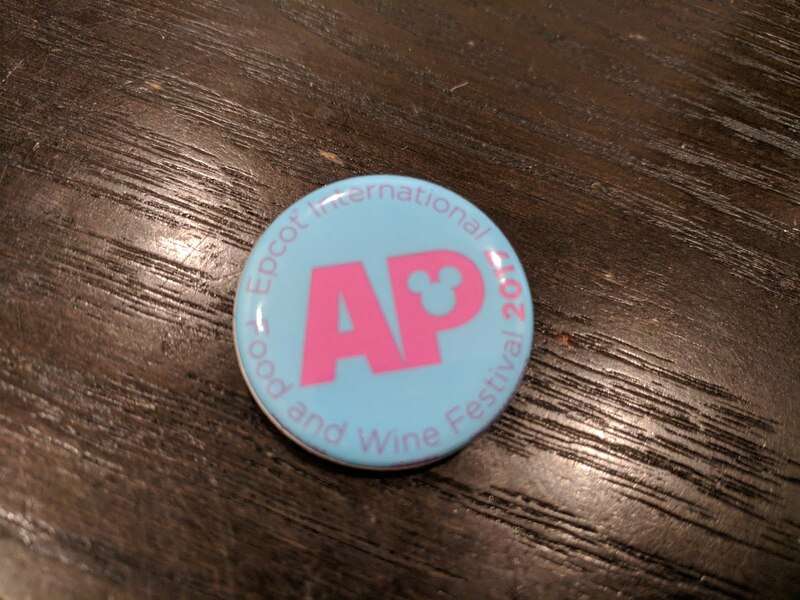 There is apparently an entire set of these small, annual passholder buttons that you can/could have scored at the 2017 Food and Wine Festival at Epcot Center this fall. Eight of them, in fact. Alas, we have just this one that we picked up at the Light Lab. I'll stick it on the pin board along with some of the other "non-pin" Disney Pins like this "Happy Birthday Mickey Mouse" button we scored on a visit to the parks on Mickey's birthday last year and the @wdwtoday Twitter button I posted about yesterday.